It turned out that the notice was sent using hacked mods. The players of GTA 5 online version have informed that the notifications about the Grand Theft Auto VI release in 2019 were received. The developing company of the game – Rockstar Games has responded to the gossips, affirming that these notifications about GTA 6 were not intended by the approved and acknowledged source. 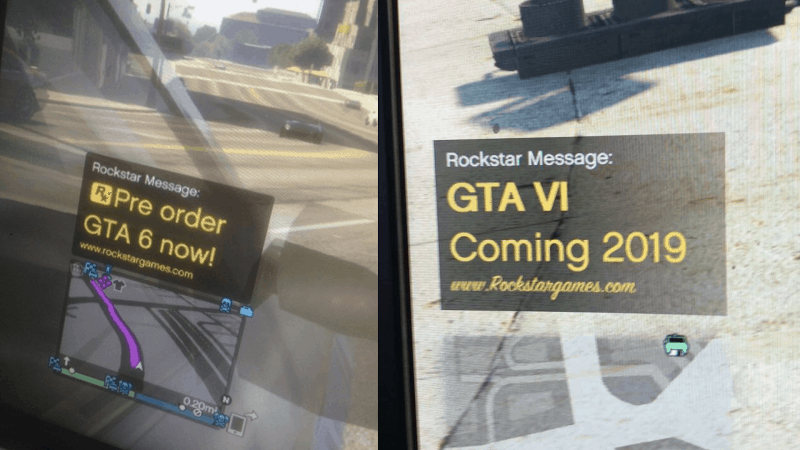 The message caused many discussions of Reddit and GTA game online forum, originally it used Rockstar name and announced the release of the GTA 6 in 2019. The Rockstar support team got tons of inquiries right after the message was released. The official reply followed which verified that the announcement was fraud. Unfortunately, the game developing company didn’t explained specifically, in which way it happened but GTA players have expressed opinions on Reddit that it might be done using mods and the notifications system of Rockstar Social Club. The main argument for that is because these notifications about Grand Theft Auto 6 were mostly common between the platforms which are known to be active mods users. There are PC, PS3 and Xbox 360. Another evidence is that it would be very unlikely for Rockstart to announce about the new version of its most successful game so far. If it was true, the company would create and well-thought announcements about the GTA 6. Finally, the timing of the announcement about the release of the Grand Theft Auto VI is not the best knowing the fact that Rockstar is about to launch Red Dead Redemption 2 in the end of October this year. It is known that the game will be in PS4 and Xbox One versions. However, one of the developers of the game has announced that it will be available on PC too. Anyhow, it seems that fans waiting for the GTA 6 should not get too excited as there is no confirmed information about it yet.